This is a brand new privacy room for the Fiamma F45 awning - 260 cm length and 200 cm projection and suits van conversions where the awning has been fitted at heights between 180cm and 220cm. This awning is still in its original delivery box, unopened. Price only £399! - a saving of £300! Just to mention that the curtain kit is also included in this sale. 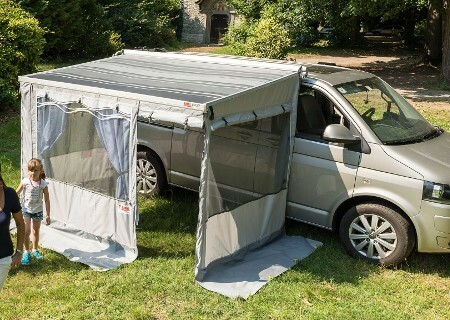 These are an extra if you buy this awning today, at around £76.